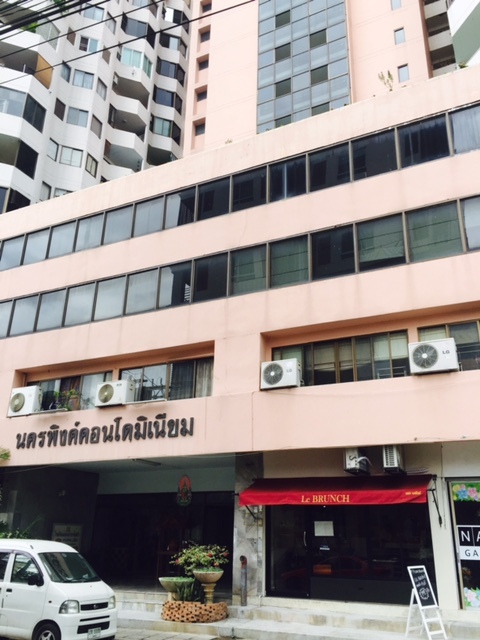 Nakornping Condo near Huay Keaw Rd: The Chiangmai 12 Step Room is located right around the corner from the Lemon Tree Meeting. If driving or taking a Taxi from the moat proceed up to Huaykaew Road. Just past the Central Department Store (also known as Kad Suan Kaew Shopping Centre) you will see a Shell Gas Station. When you see the Shell Gas Station you make an immediate Right Turn and go down Ratchaphueck Road about 80 meters on your right is the entrance to Nakornping Condos. Again, look to your right as you are going down Ratchaphueck Road. Once you enter Nakornping Condo make a left down the hall to Office #116. You will see a Big Sign with the AA Logo on the Door also on the door is "Chiangmai 12 Step Room". There is no sign in English that says "Nakornping Condos" from the outside - so just remember it is the first condo you see on your Right Hand Side when you turn at the Shell Station.